Felix Cavaliere was born Nov. 29, 1942 in Pelham NY. His mother was a Pharmacist and his father was a Dentist. His mother wanted only the best for her only son, and had dreams of him becoming a classical pianist. To reach this goal, Felix was instructed in piano 3 times a week from the time he was 6 years old until his mother passed away when he was 14. Felix’s musical influences started to take hold in the form of idolizing the music of Ray Charles among others. He started his first band called The Stereos while in his teens during which time he began to perfect his vocal abilities. He also discovered the Hammond organ around this time and was mesmerized by it’s sound. The Hammond later became Felix’s own “trademark sound” along with his unique and soulful voice. Felix was encouraged to attend Syracuse University where he studied Medicine. But rather than study, he continued singing and playing in his band. He left Syracuse after two years to form The Escorts. He then moved to New York City receiving his first professional job as a backup musician for Sandy Scott and later Joey Dee and the Starlighters. Early in 1965, Felix formed the Young Rascals along with Dino Danelli, Eddie Brigati and Gene Cornish. On October 28, 1965 The Rascals performed at The Phone Booth, a club in the “discotheque district” of Manhattan’s East Side. Their high-energy set attracted the attention of Sid Bernstein, and the group was signed with Atlantic Records. Before they knew it, they began releasing records. From 1965 through 1969, the Rascals were one of the best selling groups on the Pop charts featuring Felix-sung hits such as “Good Lovin’,” “Groovin’,” “A Girl Like You,” “A Beautiful Morning,” and “People Got to Be Free.” As the hecktic sixties evolved so did the Rascals’ sound, from blue-eyed soul (a term coined to describe The Rascals) to pop psychedelia and jazz fusion. Felix sang lead on most of the tracks, while Eddie sang lead on their ballads. The Rascals’ biggest hit, “People Got to Be Free,” was co-written by Felix and Eddie as an impassioned response to the assassinations of Sen. Robert F. Kennedy and Rev. Martin Luther King, Jr. It topped the charts for five weeks in 1968 and inspired a follow-up single, “A Ray of Hope.” At this juncture, the Rascals began focusing on albums instead of singles. Their more experimental, elongated approach resulted in records like Freedom Suite, a double album from 1969. By the early Seventies, the Rascals had evolved into an impressionistic jazz-rock outfit and moved from Atlantic to Columbia Records. The band continued to record sans Brigati and Cornish from 1971-1972 with the release of their final album Island Of Real. 1975 found the release of the LP, Destiny and the single “Never Felt Love Before” b/w “Love Came.” Ex Rascal Dino Danelli along with and Leslie West and Buzz Feiten are featured on the album. By 1977 Felix joined the group Treasure and released an album of the same name. Felix was back as a solo with the 1979 Castles In The Air LP. Three singles came from this album “Castles In The Air” b/w “Outside Your Window,” “Only A Lonely Heart Sees” b/w “You Turned Me Around,” and “Good To Have Love Back” b/w “Dancin’ The Night Away.” There was a fair bit of a “disco feel” to some of the songs here, but, hey, it was 1979!! The album featured Luther Vandross on background vocals as well as the return of ex-Rascal brothers Eddie & David Brigati. 1995 had Felix invited on to a rare trip around the US and Japan, touring with Ringo Starr and his Third All-Starr Band, which featured Mark Farner, Billy Preston, Mark Rivera, Randy Bachman and Zak Starkey. Felix is featured singing “People Got To Be Free” on the Blockbuster Exclusive CD, recorded Live in Japan. A pleasant time was guaranteed to all. In 1997, Felix Cavaliere along with the former members of the Rascals were inducted into the Rock & Roll Hall Of Fame, the highest recognition a band/musician can receive. Felix is in good company with Hall Of Fame inductees Elvis Presley, The Beatles, The Rolling Stones and Chuck Berry among other greats! Felix continues to ride high on the wave of rock superstardom and his group Felix Cavaliere’s Rascals is reputed to he one of the hottest rock bands touring today. With Mike Severs on guitar and vocals, Vinnie Santoro on drums and vocals and Mark Prentice holding down bass and vocals, the sound remains true to the source and leader’s vision. 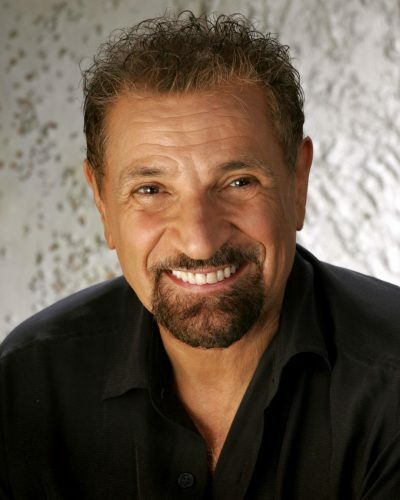 Felix Cavaliere resides in Nashville, Tennessee where he continues to record, write and produce, when not perform to adoring audiences throughout the world.